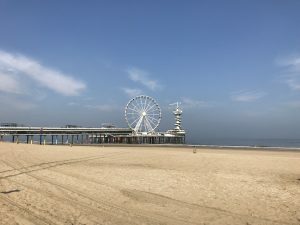 From 7 June 7th through September 9th you can start this location project/audio walking tour every Thursday, Friday, Saturday and Sunday between 11.00 and 17.00 (last departure). Start and box office: entrance of the Pier in Scheveningen. 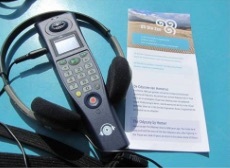 At the start of the tour, we provide you with an easy to use MP3 player and headset, a map of the route and a leaflet containing other useful information. You then embark on what seems to be an ordinary walk, until you reach the three locations designed for sitting and listening. The Plunge is a ‘circular’ walk, so you will end up back where you started to return the MP3 and headset. Depending on your tempo, The Plunge will take between 1½ and 2 hours to walk, including stops to sit and listen at the three locations. Yet take as long as you want if you like to eat or drink something on the way. 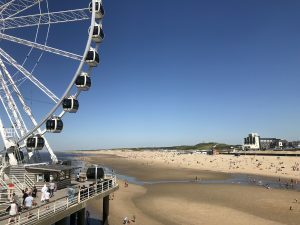 The stops, consisting of theatrically designed installations, are located at the famous Kurhaus (4), The Meteo Tower (3) on top of the dune of the ‘Zwarte Pad’ and in the dunes near beach pavilion Oscars (2). Walking distance is approximately 3 kilometers with some options suiting your physical abilities. We regret that our locations are not wheelchair accessible. Price: € 9 per person; € 5 for children under 12. Tickets can be bought at the box office at the Pier, by paying cash or by debit card (no credit cards). Both the grown-up version and the children’s version are available in Dutch, English and German. The children’s version is intended for ages 6 and over. Parking Parking Kurhaus is the closest though smallest parking garage to Scheveningen beach (Gevers Deynootplein 189, Den Haag). Another slightly cheaper and much bigger parking is: Parking Scheveningsestrand, Zwolsestraat 426, Den Haag. Public transport: From Hollands Spoor and Den Haag Centraal railway stations, take trams 1, 9, 11 or bus 22 run by HTM. Buses 21 and 23, both of which pass through The Hague city centre, also go to Scheveningen. The trams and buses to Scheveningen run to 24:00, at approximately 10-minute intervals. By bike. Free unattended parkings : Noordboulevard Bike Park (Strandweg 191), Palaceplein Bike Park (Palaceplein 1). More information here. 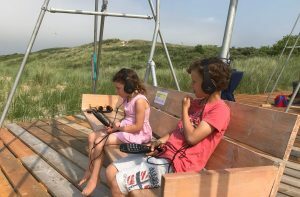 On July 10 we organise a workshop Composing a Soundscape for children in the Museon in The Hague. More information will be available as soon as possible. The walking audio tour Oh The Sea starts and ends in restaurant Stoom (Willemsoord 60 D in Den Helder). Departure any time between 11 am and 6 pm (last departure) every day between July 7 and September 3. Depending on your walking speed, Oh The Sea takes a little less than 2 hours. 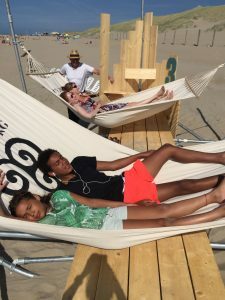 Costs: € 7,50 per person, children up to 12: € 5,-. 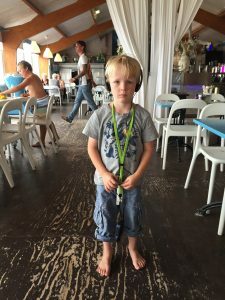 At the tour’s start inside restaurant Stoom, we provide you with an MP3 player with headphones; the audio tour ends at Stoom as well. You will be given a plan, as well as a leaflet with other useful information. 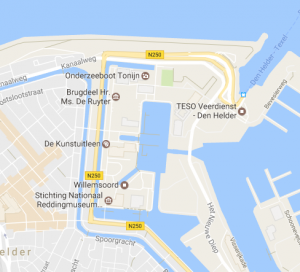 You then embark on what seems to be an ordinary walk, until you reach the three locations that are designed for sitting, and listening: on top of the dike at Zeepromenade, the harbor Willemsoord at the former naval yard and shipyard. Oh The Sea covers three signature episodes of Homer’s classic epos: the Greek hero’s encounter with the scary monsters Scylla and Charybdis, his narrow escape from the lovely but dangerous singing Sirens, and his struggles with the ‘tornado god’ Poseidon, all standing in the way of his return home in his beloved Ithaca. Each episode is approximately 11 minutes long. In either English, Dutch or German. The children’s version is available in Dutch, English and German and is intended for children ages 8 and up. As some scary monsters and added sound effects are included in the episodes, it could be a little scary for the much younger children. Someone described it as: if your child can deal with Harry Pottter, it can deal with Oh The Sea. Parking. Parking is free in front of theatre De Kampanje / restaurant Stoom: Willemsoord 63 in Den Helder. Public transport. Theatre De Kampanje is situated at +/- 900 meters walking distance from the train station Den Helder. What will you hear during the walking tour? 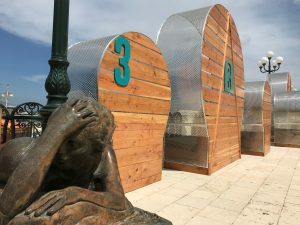 At the tour’s start, we provide you with an MP3 player with headphones .You then embark on what seems to be an ordinary walk, until you reach the three locations that are designed for sitting, and listening. These locations are theatrically dressed: Location #1 is the Zeepromenade, sitting on top of a shipping container. 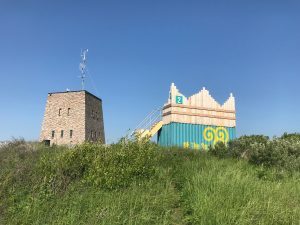 You listen to the first audio episode whilst seated, then continue on to Location #2: a concrete bunker with hammocks overlooking the harbor Willemsoord. Again activate your audio player to listen to the second episode of The Odyssey. Location #3 is situated at the shipyard with huge porch swings that are called ZlowMotion. Odysseus and his crew are (finally) departing from the island of the goddess Circe. They have been staying there for a year as Circe transformed the men into pigs with her witchcraft. Now transformed back into men, she tells Odysseus how they will have to sail home safely, to Ithaca, by tricking the enchantingly but dangerously singing Sirens and the sea monsters Skylla and Charybdis. The mighty god Zeus has decided that Odysseus, who was held for 7 years on the island of the beautiful nymph Calypso, is allowed to leave on a self built raft. But when the god of the weather and wind, Poseidon, notices this, he becomes enraged and in retaliation he lets the sea roar. Somehow Odysseus still manages to reach land. The people of the Phaecians decide to row their guest Odysseus home on their ship, to Ithaca. Odysseus however doesn’t recognize his native island because the goddess Athene shrouds it in mist. Even his own people don’t seem to recognize their war hero. The kids version has slightly different content, as it adds the story of the Cyclops. The goddess Circe has told Odysseus and his men how to pass the beautifully yet dangerously singing Sirens, the birdlike women. Everyone who hears them singing will however never long for home again. The other danger they will have to face are the sea absorbing monsters Scylla and Charybdis. Will they survive? When Odysseus and his men set foot on an unfamiliar island, it turns out the one-eyed giant Polyphemus lives here. Instead of being a welcoming host, Polyphemos locks the men up in his cave in order to slowly eat them all! Will the resourceful Odysseus find a way to outsmart the monster? Odysseus and his men are ‘stuck’ on the island of the goddess and enchantress Circe. With her witchcraft she has turned the men into swine. Will the god Hermes help Odysseus and his poor men out?